Living a Fit and Full Life: Wildlife World Zoo & Aquarium is a Must Visit, When in Arizona! Wildlife World Zoo & Aquarium is a Must Visit, When in Arizona! Wildlife World Zoo & Aquarium is home to Arizona's largest collection of exotic animals with more than 600 species. The Aquarium features over 75 indoor exhibits including stingrays you can feed, penguins, otters, and sharks plus rides & a petting zoo. Wildlife World Zoo, Aquarium & Safari Park is home to more than 600 exotic and endangered species, and more than 6,000 individual animals. With so many animals to visit, you can plan to spend a full day here! Wildlife World Zoo offers free animal shows, feeding stations and the opportunity to get up close and personal with some amazing animals. Discover the wonders of life in the water with our four-building aquarium, filled with hundreds of fish, amphibians, invertebrates, and reptiles. Our aquarium’s South Pacific Reef tunnel tank also features the longest acrylic tunnel in Arizona. Get as up close and personal with the world’s water life as possible without getting wet by visiting The Wildlife World Aquarium! Adventure land is a new 15 acre exhibit of North, Central and South American animals including; Buffalo, Bears, Cougars, Bobcats, Monkeys, and many other animals in many outdoor and three indoor exhibit buildings. The giraffe feeding station gives visitors the chance to feed the world’s tallest land mammal face-to-face from a 12-foot platform. Feed your kids’ need to get up close to nature and wildlife at our Kids’ Petting Zoo. We give children the opportunity to meet and feed axis deer, baby goats, chickens, and more. Does your kid like touching things that are wet and slimy? If you answered yes then they’ll love Stingray Feeding, where they can get the opportunity to gently touch these unique fish. Learn about unique wildlife as they demonstrate natural behaviors like foraging and free flight. Our knowledgeable professionals love animals and are passionate about educating people about some of the world’s most majestic and exotic species. You never know what you’ll learn or see at Wildlife Encounters! Lories are a diverse breed of arboreal parrots most known for their beautiful colors and specialized brush-tipped tongue. Wildlife World Zoo was the first zoo in the nation to create a lory feeding exhibit. Meet tropical birds from the South Pacific as they land on your arm to nibble on apple slices. Check out our birds on this quick video! Travel on this 5/8-mile long narrated ride through the plains of Africa and see endangered antelope, gazelles, ostriches, and more. The all new Log Flume Ride surrounds three primate islands and takes riders past aquatic animals and through the Aquarium’s south pacific reef tunnel tank – the longest acrylic tunnel in Arizona – before splashing down three stories! Children must be at least 36 inches tall and be accompanied by an adult to ride the log ride. Minimum height to ride without an adult is 42 inches. Slow down and enjoy the view from high atop the Idearc Media Skyride. This round trip through the tree tops is approximately 15 minutes and will give you an unparalleled view of the park. Tired of walking? Let your kids take a break and ride on one of their favorite zoo animals! Cruise “Down Under” to see hopping red and gray kangaroos, an albino wallaby, plus the world’s second-largest bird, the flightless emu. And, if you are lucky, you could even hear the loud call of the laughing kookaburra. Enjoy the new Safari Park by taking a tram ride through African animals including Beisa oryx, sable antelope, Watusi cattle, Kudu, Sprinbok, Wildebeest, Addra gazelle, and Sitatunga antelope in their natural environment. You will also see warthogs, red river hogs, ostrich, lots of other birds, and various primates. The tram driver gives details of each species as you roam the savannah. 650 foot long and 100 foot high over animals. Available every day for lunch featuring subs, pulled pork sandwiches, hot dogs, pizza and your favorite snacks items! Enjoy great food and good times with Dillon’s world-famous K.C. Style barbecue beside the shark tank inside the Aquarium. Patio dining with the flamingos also available. Stop in for a nice cool refreshment, snacks and ice cream. Open during season. Open daily for lunch with cheeseburgers, fries and ice cream for the whole family! Wildlife World Zoo & Aquarium is a must visit, when in Arizona! 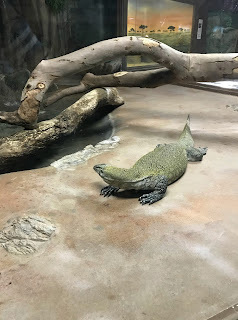 Recently my family and I visited Wildlife World Zoo & Aquarium and while we've visited before, it had been a couple of years ago. This time it seemed like they had so much stuff to do. We ended up spending the entire day there and I think we still missed a few things. My kids absolutely love how many animals and critters there are to see at the zoo, but also love that they can get much closer to them than at other zoos we've visited in the past. I think their favorite thing might be feeding the giraffe. You can purchase pellets to feed the giraffe for fifty cents and the giraffe will stick out its tongue to eat them. Not only is this such an incredible sight to see but the kiddos loved being able to say that a giraffe licked their hand. They of course also love the petting zoo which had the cutest goats, deer and I think, maybe an alpaca that followed them around. We also went on the Family Roller Coaster and to my surprise even my daughter who's afraid of heights absolutely loved it. 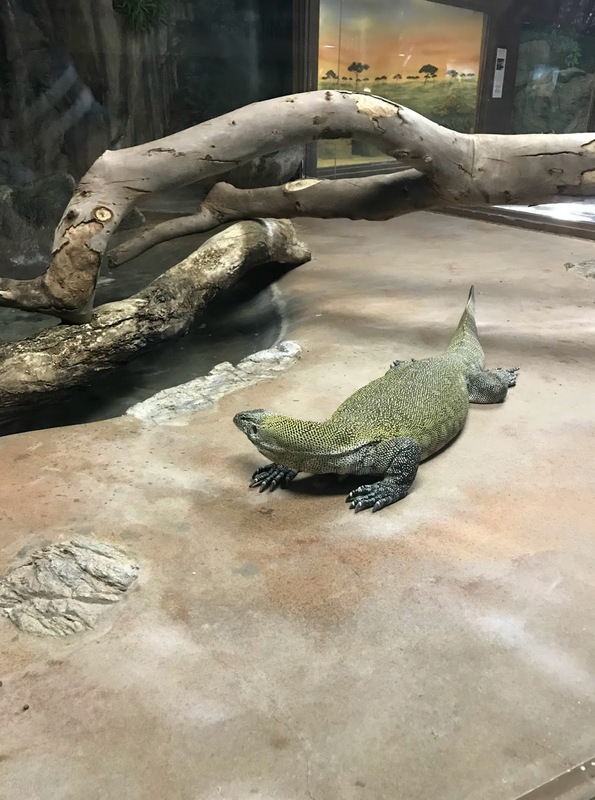 The Wildlife World Zoo & Aquarium is by far our favorite place to visit in Arizona and one thing I love, especially because it can get pretty warm in Arizona is that you can go indoors to the aquarium when the weather starts to warm up. And, they even have several restaurants, so you can grab a bite to eat when you get hungry. The Wildlife World Zoo & Aquarium is absolutely amazing and such a blast for the entire family! Click HERE to view the park map! Click HERE to learn more about Wildlife World Zoo & Aquarium! Follow Wildlife World Zoo & Aquarium on social media!